This FREE and informative 90 minute LIFEPAK CR PLUS Defibrillator and CPR workshop is a must for all sporting clubs and groups. 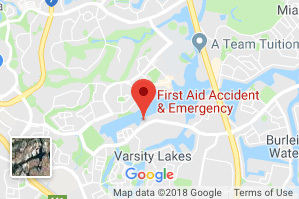 Workshops are held at our Varsity Lakes Location. Dates and times are listed below and bookings are essential. Right: View our introductory video – hosted by FAAE Director and Senior Instructor, Scott Whimpey. CONGRATULATIONS from First Aid Accident & Emergency to the recipients of the GC2018 LIFEPAK CR Plus Defibrillator legacy item allocated by the City of Gold Coast. 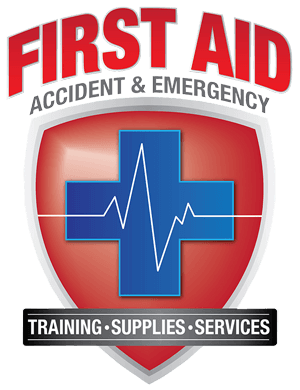 First Aid Accident & Emergency are a Gold Coast based, first aid and defibrillator specialist. 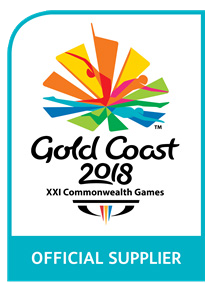 We were the proud LIFEPAK CR Plus defibrillator supplier to the Gold Coast 2018 Commonwealth Games and are now offering these FREE workshops for clubs, showing you how to use the LIFEPAK CR Plus automatic defibrillator and the basics of CPR. Your club will also receive a FREE DRSABCD wall chart, AED wall Sign and ‘ when to apply AED’ Wall sign. Please note this workshop is not nationally recognised training (NRT). 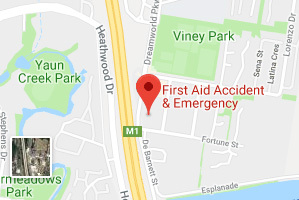 If you require a Statement of Attainment in CPR or First aid for the workplace come and join one of our daily accredited CPR and First Aid courses on the Gold Coast. For more information on our nationally recognised courses, club discounts or bookings contact us by clicking here or call our head office on 0755205068.